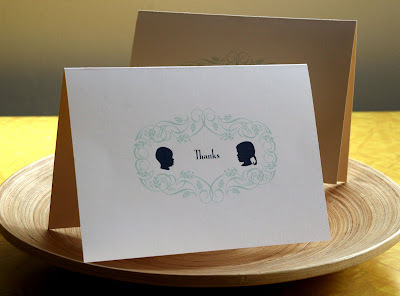 Christmas with two kids means LOTS of "thank you" cards to write. Buying cards can really add up and who needs that when your funds were all spent during the holidays? I opted to make some personalized cards this year utilizing the blank cards and envelopes we had leftover from Cooper's birth announcements. I chose a picture of each of the kids with the best side profiles. In Photoshop, I traced their faces using paths, then saved the paths as Illustrator files. In Illustrator I finished the design by adding the flourish design and simple type. To my surprise, the quality came out quite nice when ran through my home printer. The biggest obstacle was centering the design which took a few tries and adjustments. It would be fun to repeat the concept every year as the kids got older! To read the full tutorial on how to make your own, visit Craftzine's full article here. On first glance, this is nothing more than a pretty book of matches. 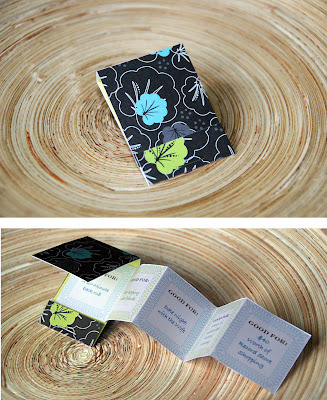 Once opened, the accordian-fold coupons come bursting out. This miniature project has endless possibilities. You can use the panels to showcase pictures, poems or just sappy sayings to your loved one. The matchbook was constructed from medium-weight scrapbooking pages. Score the folds lightly with a craft knife, then staple the front of the bottom panel close to the fold. The "coupons" were designed in Illustrator then printed on my home computer. Sometimes the best gifts come in the smallest packages. At some point all kids need a table and chair sized for their miniature bodies. I'm sort of a snob when it comes to kid's furniture & clothes. I am not satisfied with the common Ikea variety. 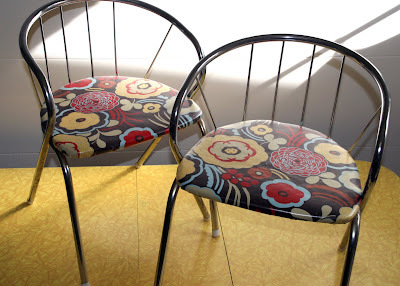 While strolling through a local thrift store, I spotted these adorable chrome chairs buried in the back of the furniture section. The chrome was in decent condition and the seats just needed to be repadded and covered. I absolutely love this cotton print and I only had about 1 yard left - just enough for the project. I unscrewed the seats from the frame, stripped the original torn vinyl cover and toxic padding. Next, I used an iron-on vinyl adhesive on the new fabric to make it more durable and easy to clean. With the new padding in place, I simply wrapped the fabric around the seat, placed a square of red oilcloth over that and stapled completely around all the edges.